Be the latest Canon EOS DSLR unveiled on 17 September 2012, the EOS 6D is the same size and weight as the EOS 60D. 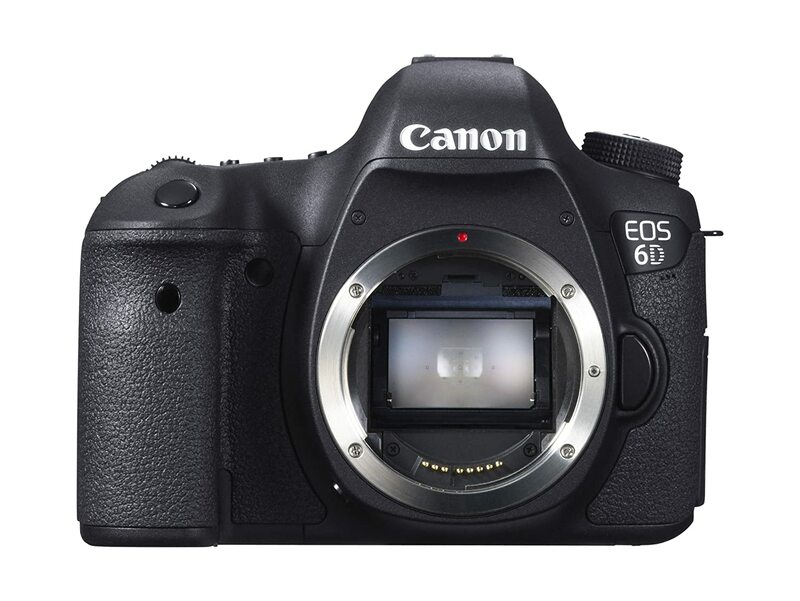 Thanks to a full-frame CMOS sensor, currently, the EOS 6D really is the lightest camera in the world. It’s ideal to use the camera for any purpose, no matter travel, portrait and lanscape photography. Although the EOS 6D possesses a compact design in lightweight, it still retains the strength of Canon’s full-frane line-up with the powerful imaging system and the amazing performance in low-light condition. It’s the first time that Wifi 2 and GPS3 connectivity are intergrated in a EOS DSLR. That helps users very much in capturing moving images with easy in excellent quality, also in noting them with location information. Besides, you can transfer data from the camera to external devices such as laptop, iphone, ipad, speaker…via wireless connection. Be designed with a new Canon CMOS sensor of 20.2 Mp, the EOS 6D isn’t still the leader in pixel count if it’s compared to the Nikon D600 (24Mp) and the 5D Mark III (22Mp). But that’s enough for a professional photographers to create stunning images. The DIGIC 5+ processor coming with a standard ISO range of 100 – 25600 (even expandable down to 50 and up to 102,400) are really impressed features though these aren’t new for Canon full-frame DSLRs. The AF system with 11 points can operate in the case of extremely low-light condition, even down to -3EV although there is only cross-type point – the central point. For this, the EOS 6D is better than the 5D Mark III. Surely, the most noticeable difference in the EOS 6D in comparison with Canon’s previous SLRs is the first appearance of included GPS and Wifi. By this GPS, each image will be embed location data and there is a function of keeping track of where you’ve been through all day. At the same time, the Wifi function allows you to share images to a laptop or smartphone, as well as directly upload to Facebook, Twitter or other social media sites. In the case that you want to print images, transfer to a printer with Wifi connectivity. Besides, there are many other functions the EOS 6D offers for iOS and Android operating system surely satisfying people who are interested in technology. Unlike most of Canon’s high-level DSLRs, the EOS 6D is more streamlined and compact thanks to lacks the row of buttons down the left side of the LCD. It is a little bit difficult because of lacks a built-in flash and a headphone jack. Canon 6D best price – Where to buy? Most photographers say that the Canon EOS 6D Digital SLR Camera with 3.0-Inch LCD is an excellent product and even that’s more reasonable when it’s sold at a cheap price from Amazon. In present, there are 2 styles: Canon 6D Body with the price of $1,789 and EOS 6D + EF24-105mm IS Kit with the price of $2,329 available in Amazon.com. Try use some Canon 6D coupon, Canon 6D promo code above and check newest Canon 6D deals on June, 2015 to get 6D cheapest price.